Chirp, chirp, chirp—sounds like a brand-new aural rehabilitation lesson kit has just hatched! You’ll be flying high with this month’s free aural rehabilitation resource kit. 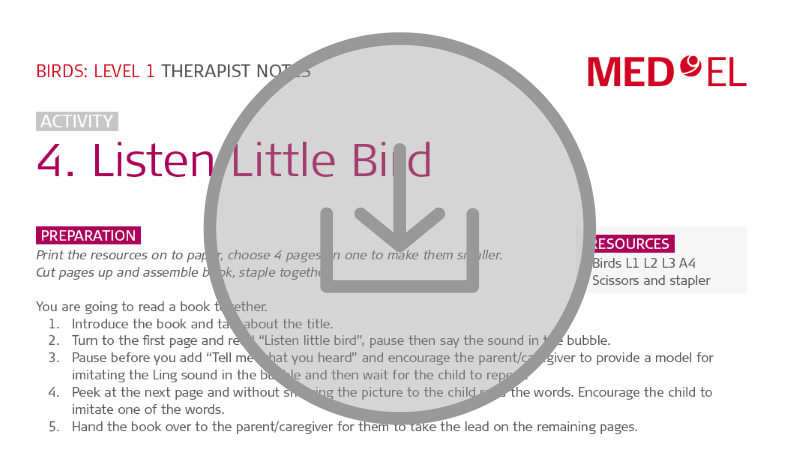 There’s more than 40 pages of detailed therapist notes and bird-themed printable illustrations—download your free lesson kit now! These free comprehensive lesson kits are a therapy resource for audiologists, speech & language therapists, rehabilitation specialists, and any other professional that works with children with hearing loss. Every month, we share a new aural rehabilitation lesson kit filled with complete lesson plans and printable therapy resources. If you’re new to our themed lesson kits, you should start with Lesson Kit #1. These lesson kits are always available free of charge—we’re here to support your work and help children with hearing loss. Get your free full lesson kit download at the bottom of this article—and don’t forget to subscribe to make sure you get all the latest updates! 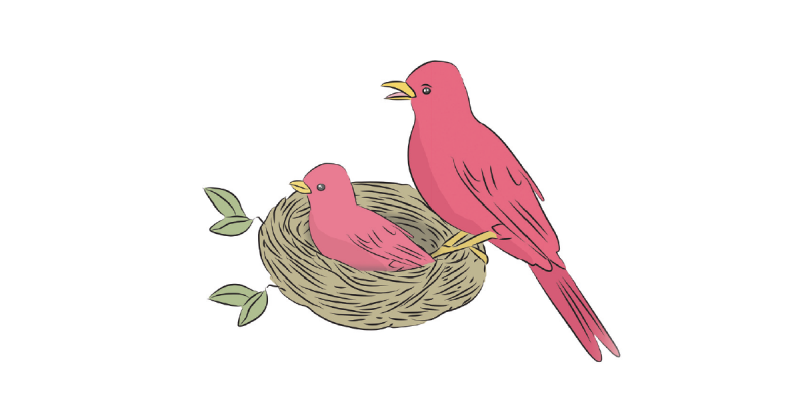 This month, the lesson kit theme is “Birds”. You’ll be using bird-related vocabulary and imagery to build communication skills. The lesson plans include finger puppets & a sing-along, matching games, a storybook, and more. This comprehensive lesson kit is a pdf that’s designed to be printed and reused. Every lesson kit has three levels and includes lesson plans with four complete activities and therapist notes for each activity. There’s also step-by-step guidance and printable illustrations for each activity. Each lesson plan highlights useful therapy strategies to help achieve the listening and language goals. Each lesson kit has three levels of each activity to cover a wide range of listening, spoken language, and cognition abilities. These aural rehabilitation lesson kits are available free of charge—we’re here to support your work and the success of every recipient. They can be printed, emailed, shared with colleagues, and even given to parents as supplemental at-home aural rehabilitation resources between sessions. We post a new lesson kit for download every month here on our Professionals Blog. There’s no deadline for downloading these aural rehabilitation resources, so you can easily find and share previous lesson kits. Download your free aural rehabilitation lesson kit now! Did you know the story behind our lesson kits? In this article, Rebecca Claridge, CCC-SLP & MED-EL Rehabilitation Specialist, explains why she created the lesson kits. Don’t miss any of our rehabilitation articles—subscribe now and you’ll get all our latest posts sent right to your inbox. Have a question about our themed lesson kits? Use our simple contact form to send us a message. Like these lesson kits? Let us know what you think in the comments below. And of course, we’re sure your colleagues would love these lesson kits—help them out and share today!